Your partner in creating superior, life-changing patient health outcomes. The Practitioner-Patient engagement model by LivingMatrix is the basis of a successful and highly credible practice. As the functional medicine sector grows at 30-40% YoY, LivingMatrix helps practitioners scale fast to meet demand. The LivingMatrix Practitioner Research Network (LM-PRN) is your partner in driving efficient, effective research. LivingMatrix is the only technology-based, clinician-designed functional medicine platform for practitioners to effectively evaluate patients, create personalized actionable care plans, and track superior health outcomes over time. The result is a faster time to healthy, life-changing outcomes and an increase in patient referrals for the practice. The cloud-based LivingMatrix patient information management system delivers a unique engagement process and exceptionally high referral rate. Visual patterns provide a comprehensive picture of patient’s health and conditions over a lifetime. Patients are able to gain back as many as 1-3 office visits so practitioners can focus on building the relationship and or treatment, not a manual intake processes. 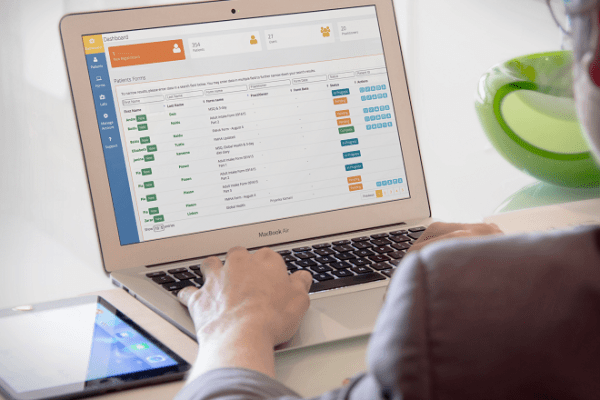 In collaboration with the Institute For Functional Medicine (IFM), LivingMatrix tackles one of the major efficiency drains faced by all Functional Medicine practitioners: patient information management. Our job is to work with IFM thought leaders to translate tools such as the matrix and the timeline, into the digital medium. In doing so, we enable practitioners to better provide Functional Medicine in their communities and to contribute to the real-world evidence base for functional medicine. Pick the best subscription option for your practice. IFM members receive 10% off your subscription! Click the Get Started button and we’ll help you figure it out.